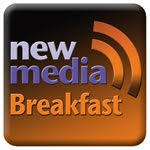 In September 2009 we held the first New Media Breakfast where we looked at social media in general and explored the various ways to participate; in the past couple of months we have received lots of requests to do an updated version of that presentation. The July New Media Breakfast will look at social media today and offer a definition and examples of social media marketing - how businesses can use social media to promote their goods and services. Social Media Marketing is being accepted as an essential part of the marketing mix by the world’s largest brands, business are realising the need to engage and communicate at this level and, a bigger share of marketing budgets are being spent on digital channels so, it has never been more important to be aware of social media and understand how it can work for you. Sticking to the title theme, we will demonstrate how a complete “back to basics” approach can help you get to terms with social media and help you understand how you can participate effectively. We will try to show you that using what you already know and do can be easily adopted on digital platforms to help you develop and implement an effective social media marketing strategy. We believe there is a tendency to over complicate social media activity; yes there are pitfalls and areas of concern but, we believe our ‘back to basics’ approach will help you identify and understand how to approach most situations you may encounter online. Social media marketing encompasses engagement, forming relationships and emotional connections but it doesn’t stop there; advertising on social media channels is an integral part of social media marketing but, the most successful businesses are those who are integrating the ability to share content among friends with conventional advertising to create social media advertising campaigns that tap into the massive power of word of mouth. At the breakfast we will take a look at what’s new in social media advertising and how you can utilise your community to promote your business effectively. We will also explore how to utilise the highly targeted nature of social media advertising. No.29 Members Go Free – If you are a 29 Member you can attend the breakfast free of charge. Please email malcolm@fatbuzz.com with you membership number and he will add you to the attendance list. We hope you can make it along to this event. If so, I look forward to seeing you on the day.